The holidays are over. People are exhausted. And now the credit card bills start rolling in from all the shopping that was done. This can take a big hit on some bars and restaurants. 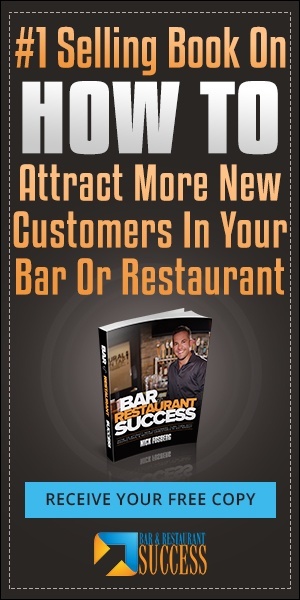 Today I’m going to bring 21 restaurant marketing ideas for January to keep the sales rolling in. 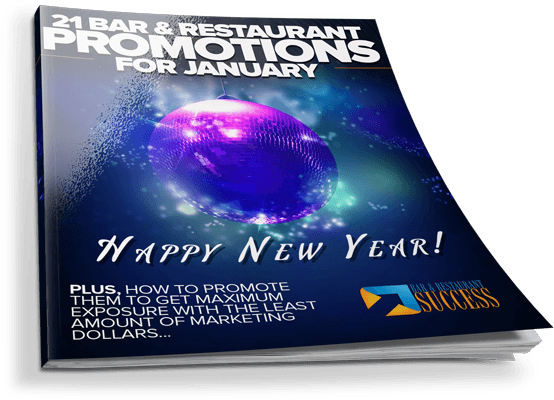 These bar and restaurant marketing ideas for January are actually promotions I run in my bar’s. They are really quick to do and keep the bar packed through one of the slower months of the year. You could run a charity event for the Red Cross. I’m a huge fan of running charity events and I do at least one per month because I believe the more you help others, the more you’ll receive in life. This is also a great way to build trust and credibility within your area. If you send out a press release, you’ll gain thousands of dollars in free exposure. Charity events is also a great way to attract new customers and turn them into loyal, raving fans. There’s a lot of different ways you could run this event. 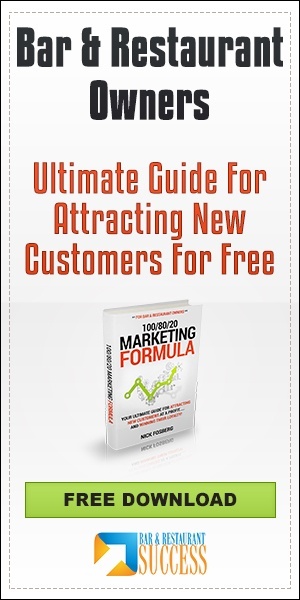 You could give a percentage of sales but if you do, don’t do 10%. That’s pretty cheap if you ask me. Lets say you do $1,000 in sales, so you give $100 to the Red Cross? Come on! If you did only do 10%, at least have 50/50 raffles or other ways to generate money for them. What you don’t want is people thinking you’re doing this for your own good, rather then someone else’s. Another simple promotion you could run for this if you didn’t want to do a big event, is give 50% off their food / tab if they show they donated blood in January. One time of course. 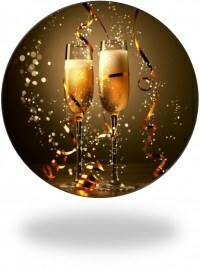 What I do every year is end out a e-mail to my customers wishing them a happy New Year and then I tell them what I did on New Years Eve and what my New Year’s resolution is. Your goal with your marketing is to build trust and credibility first. Get them to feel like they know you on a personal level, EVEN if they’ve never met you before. After I tell them my New Year’s resolution, I then ask them what theirs is. Show you care about them. Show you’re interested in them. This is “Relationship” based marketing at it’s best! You could also run this promotion just like the soup cook off / chili cook off. Again, before you think about doing this, ASK customers if they’d be interested in competing. If they are, you know you have the market to make this a success. “But Nick…. I own a bar that doesn’t have a kitchen!” Ok, lets think out of the box. What Italian restaurant is near you? 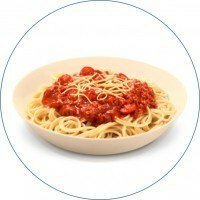 Contact them and tell them you want to run a promotion with their pasta, for your customers, and you’ll promote the hell out of them for this promotion. Tell the owner you’re not trying to sell it for a profit and that you’re just looking to do something different and nice for your customers. Tell him you want this at his cost. What you need to sell him on is this….. I would do that all day long if I was approached with that opportunity because I CAN’T lose if my costs are covered. That’s the short version but I’m sure you get the point. 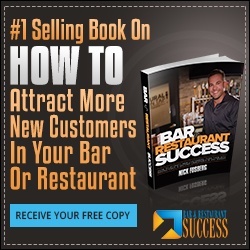 Here’s a perfect e-mail promotion for you whether you own a bar, restaurant, or a whip cream pie parlor! 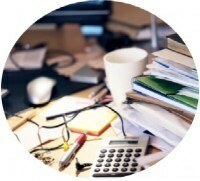 Send out a e-mail that you discovered it was National Clean Off Your Desk Day. Send this out a week before and mention you made the commitment to make it happen. Tell them a story about how messy your desk is, how it’s hard to stay organized, etc. Get PERSONAL and tell a story. Stories sell! Then you explain how you found a old coupon / offer / special or whatever, and that you never sent it out because it was “stuck” in junk on your desk and you now want to get it out to them. When you have a story tied to your offer, a reason WHY you’re making them this offer, your results will skyrocket rather then saying “Come in today and get “x”! one cheeseburger get one free. Nachos. Grilled cheese. 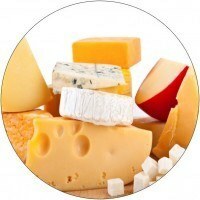 Any menu item that comes with cheese! Are you going to make thousands and thousands of dollars from this? No! But it’s a way to be different, unique, fun, and it gives you a reason to contact your customers and provide them with some kind of value. Restaurants could run a free piece of pie for kids. 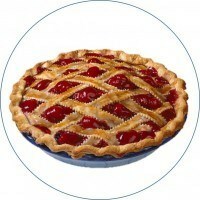 You could do a free pie for a family of 4 that come in and order full priced menu items. I would again, send out a press release about this and then try to partner with the school district to get flyers into the kids hands about your promotion! If you’re a bar, a pie eating contest might work as well. I always do a 1/2 pound burger and pizza eating competition every year that do VERY well and are a lot of fun. Haven’t tried the pie one yet but maybe this year will be a first! People want to be ENTERTAINED! This is entertaining & delicious! On spouses day, you could run a buy one get one, percent off on tab, or create some kind of package for two. Instead of just saying “It’s spouses day on the 26th and we’re doing “x”. I’d talk about WHY they should take me up on my offer and what will happen and what they will receive when they come in. That’s what marketing is all about. Having a conversation with your prospect in a conversational tone and delivering them something valuable. When I say valuable, that doesn’t necessarily mean a discount. A fun night out away from the kids could be very valuable to parents with NO discount at all! When you’re targeting a specific group of people for a certain promotion, think of what is going to trigger that group of people to take action and say YES to your offer! 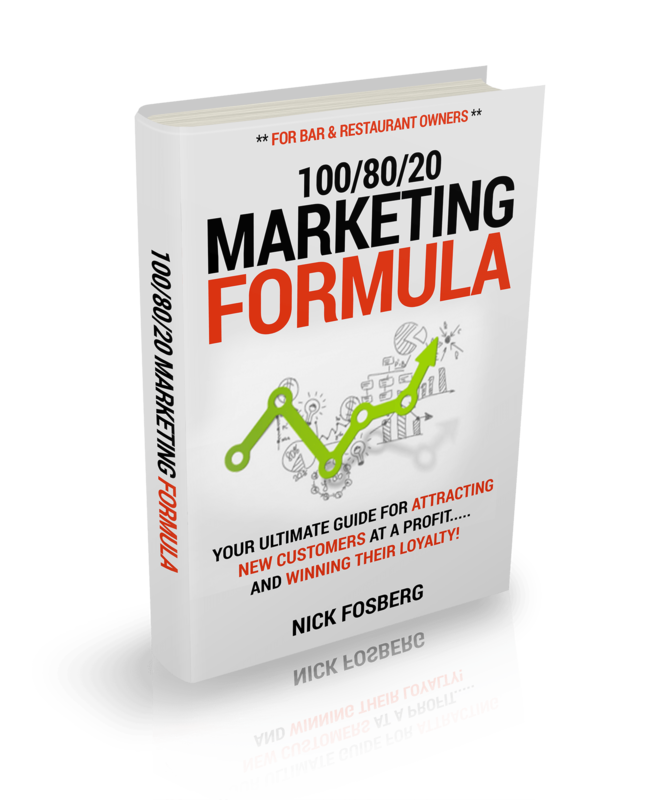 Every e-mail, every mailer, every Facebook promotion I do, I put strategies like this into place in order to get the highest ROI on my marketing dollars. 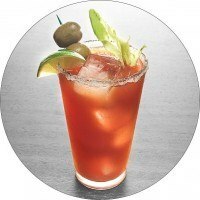 The above restaurant marketing ideas for January should be a great start to help you get your bar or restaurant packed in the slow month of January. 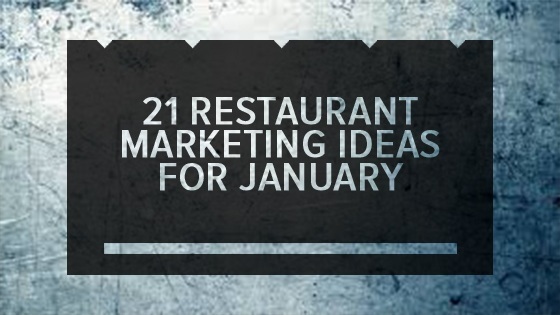 Receive and view the full 21 restaurant marketing ideas for January by clicking right here. Where Should We Send These Promotions?